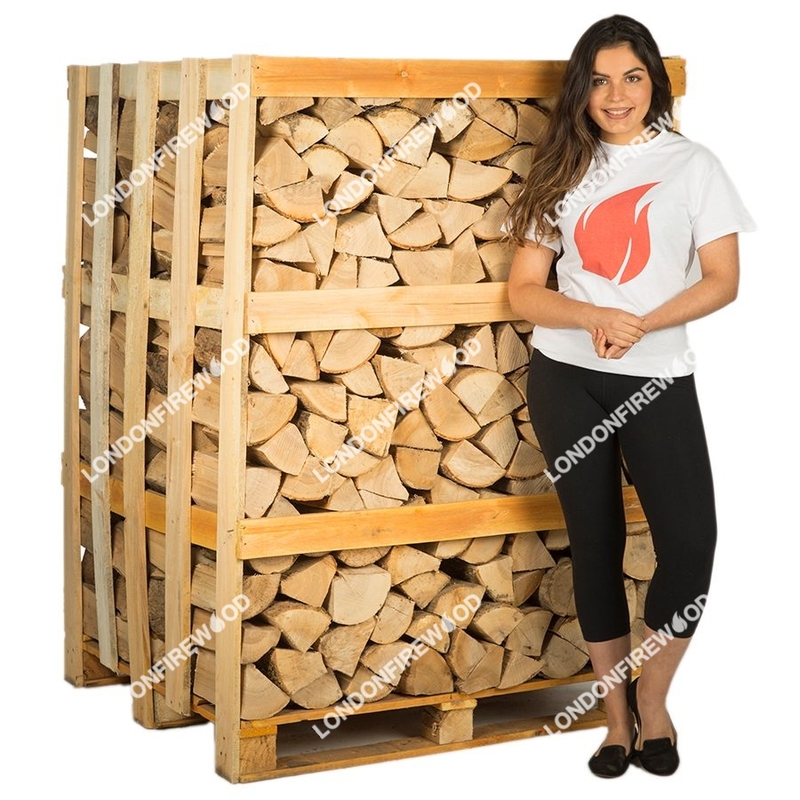 Here at London Firewood, we strive to provide our customers with top of the line kiln dried logs that will burn at a slow and steady rate. 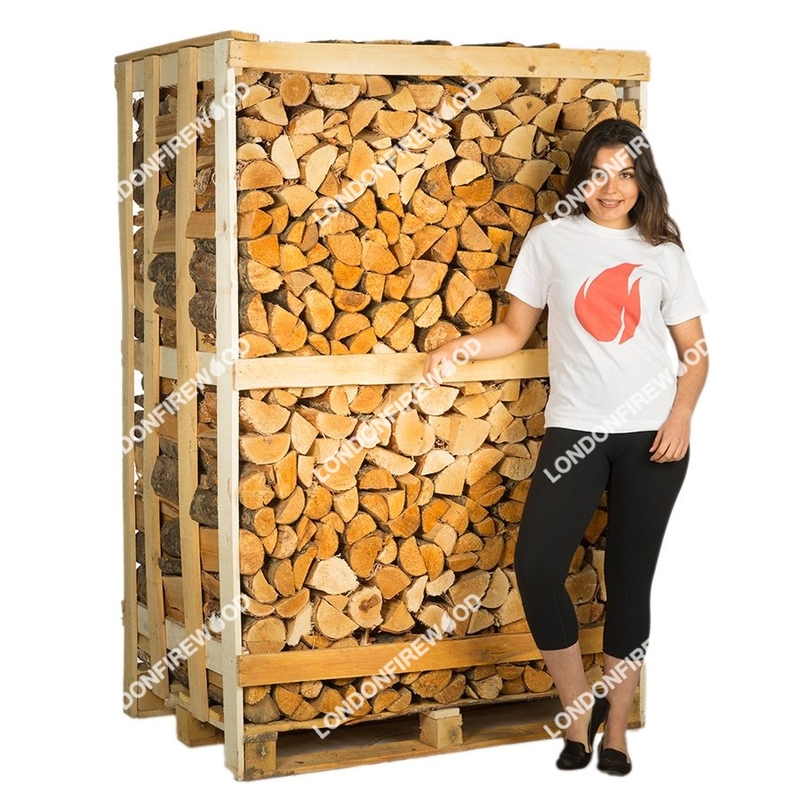 All of our logs for sale are hardwood varieties that have an average moisture content of less than 15 percent, which will a produce more heat than a softer wood that may contain more moisture. 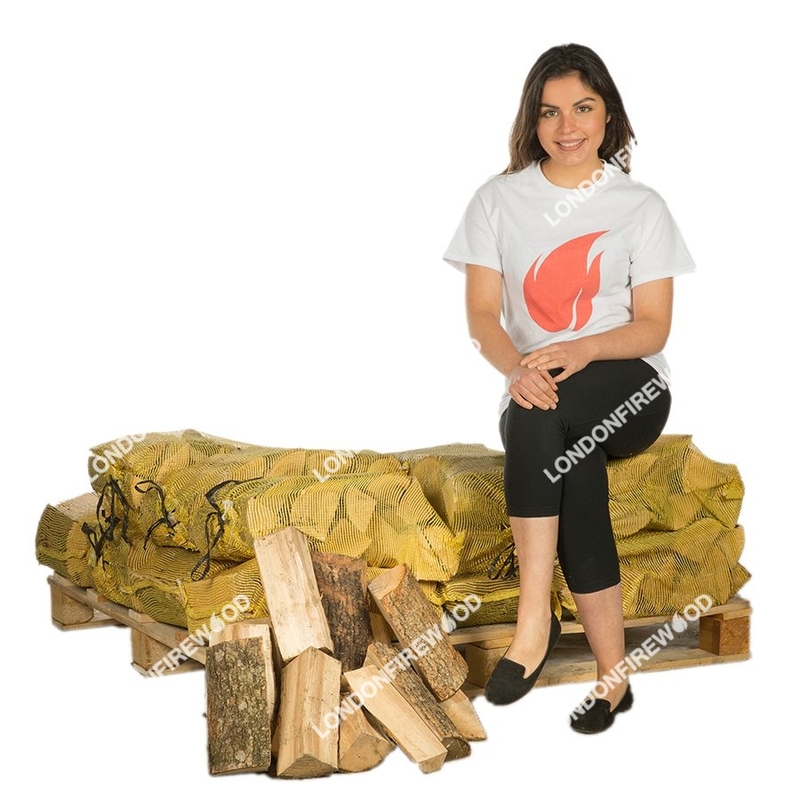 Kiln dried firewood can be used in wood burners, open fires, and it can even be burnt in pizza ovens. 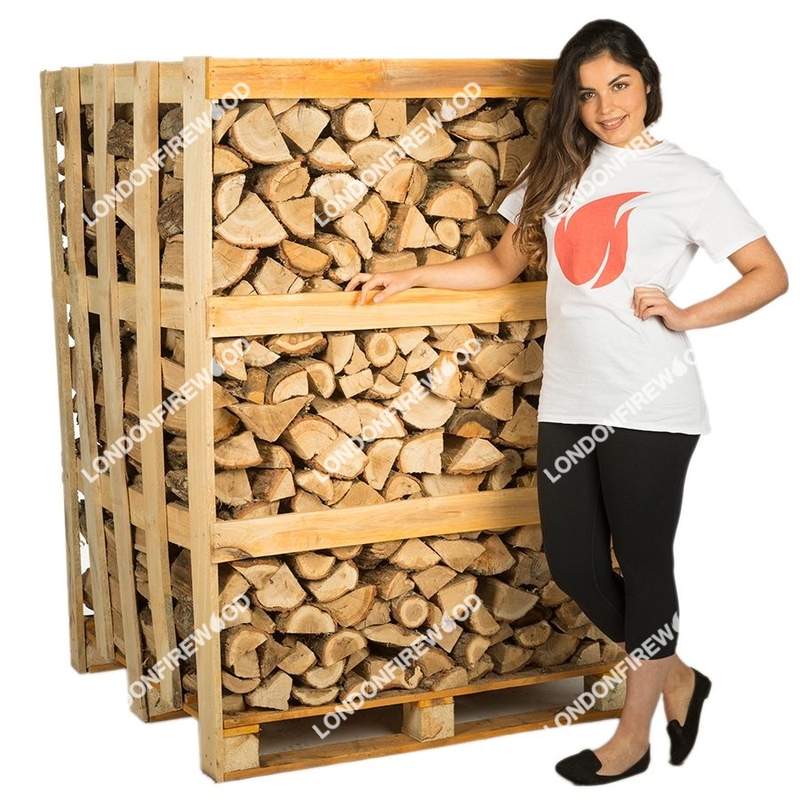 All of the firewood we have for sale is sold in bulk, which allows our customers to receive bigger discounts when they make a purchase. 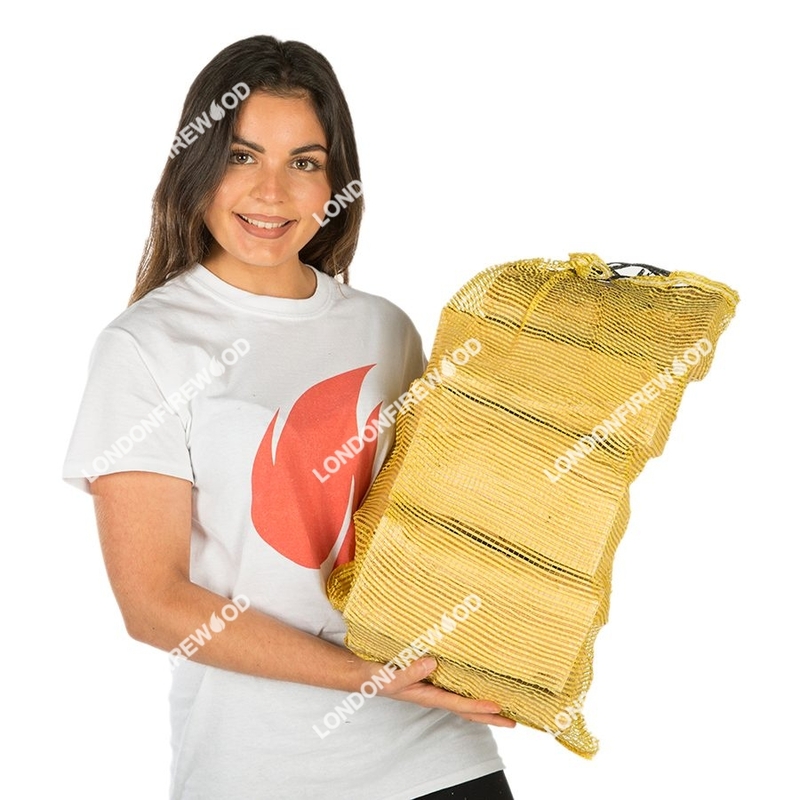 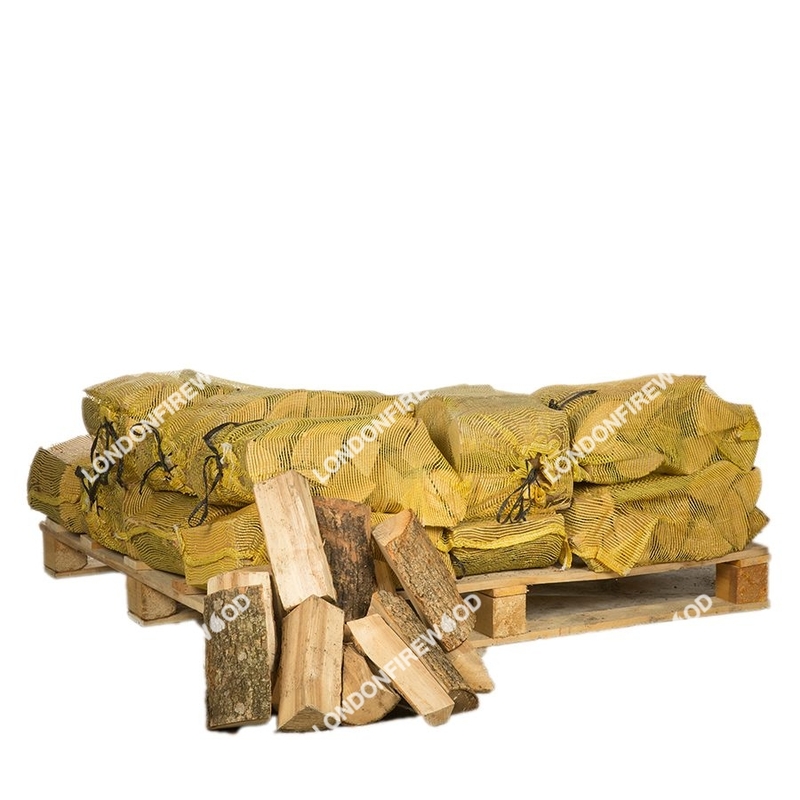 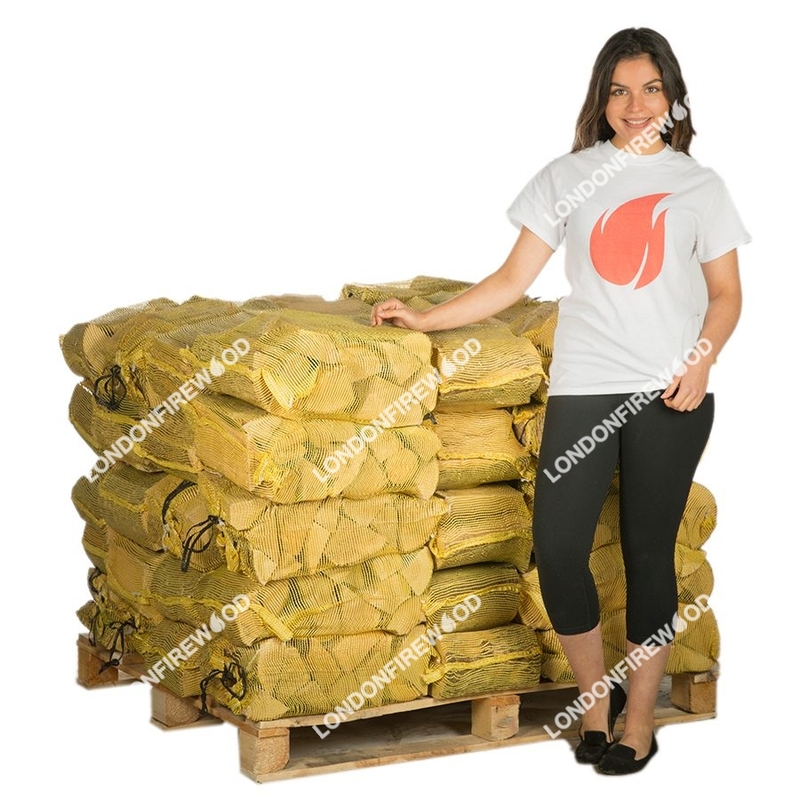 We sell nets of firewood that are divided into easily transportable sizes. 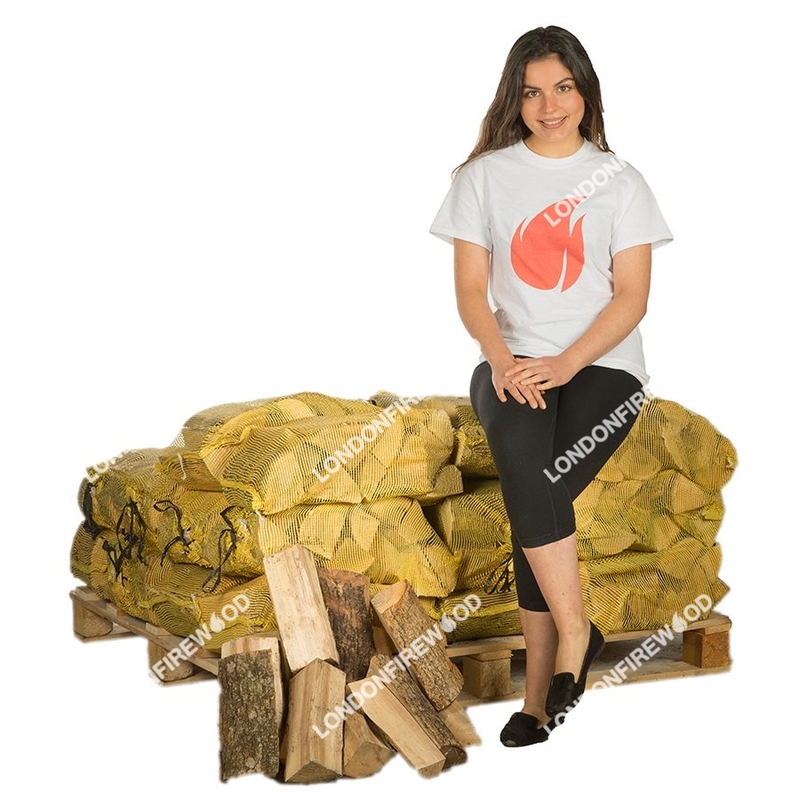 Each bundle consists of 16, 32, or 56 nets. 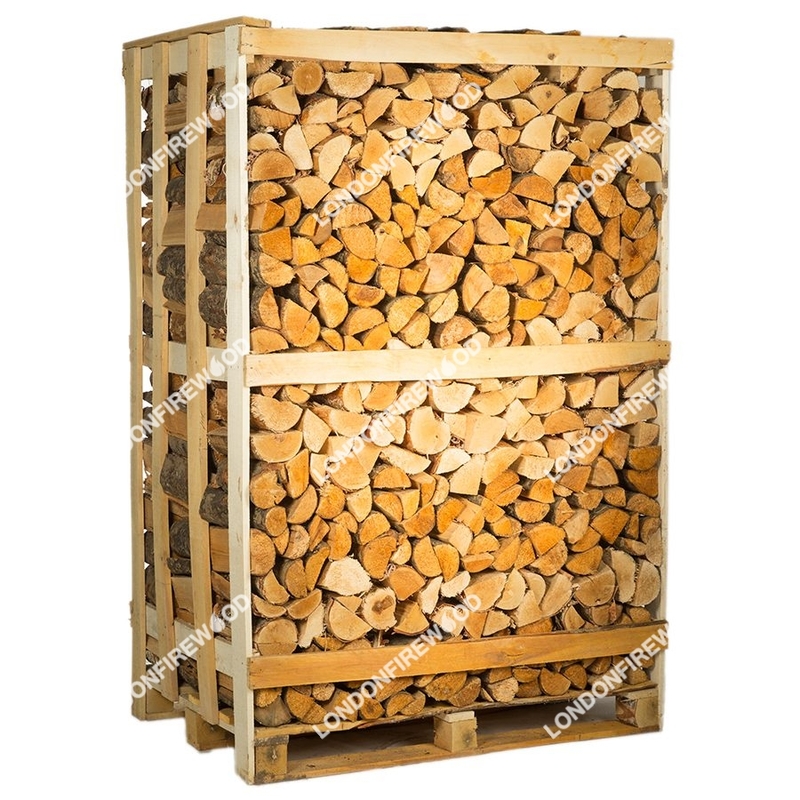 We also have logs for sale that are stacked in larger 1.7m crates. 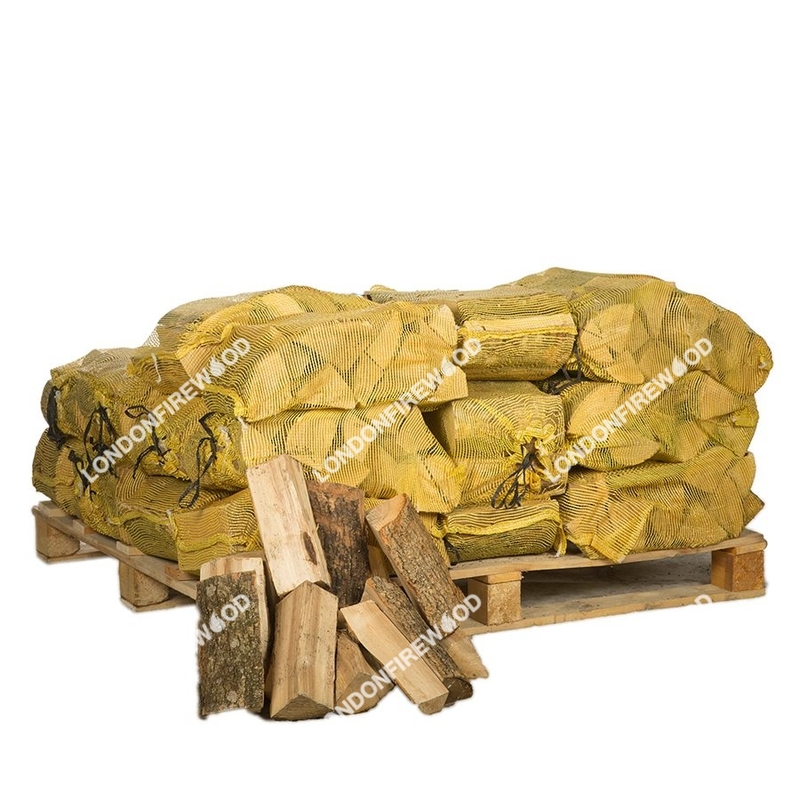 These crates can be ordered to contain a specific type of hardwood, such as ash, birch, and oak or they can contain a mixture of the hardwood kiln dried logs that we offer.